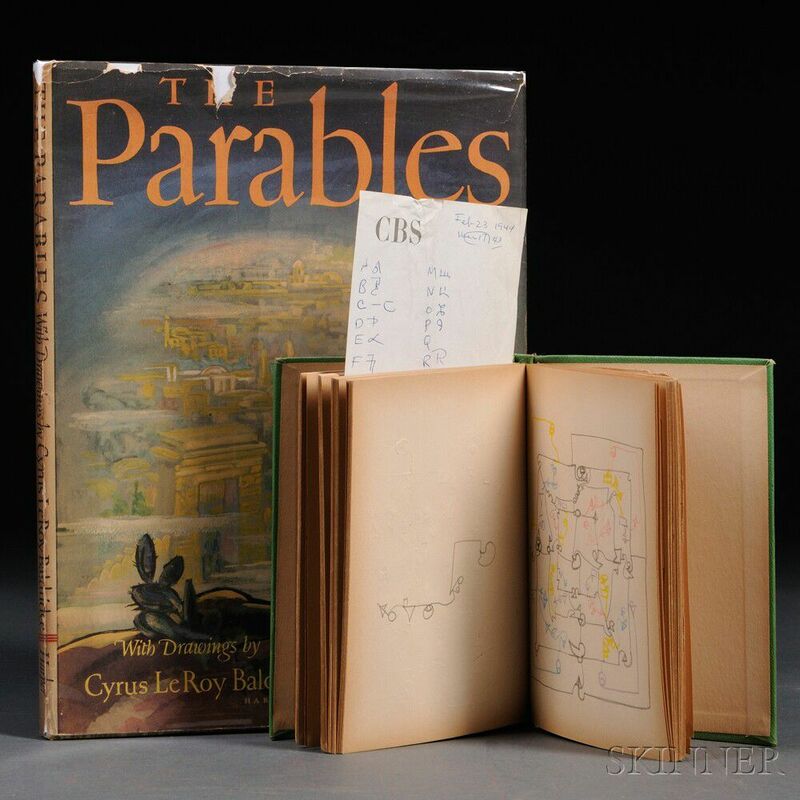 Baldridge, Cyrus Leroy (1889-1977) Manuscript Notebook and The Parables. New York: Harper & Brothers, 1952. 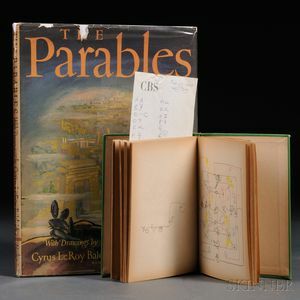 An inscription in the beginning of The Parables is signed in an unknown system of code writing which may be attributable to Baldridge; this volume is accompanied by a commercially-produced cloth-covered hardback notebook filled with 105 pages, which contain 210 original drawings, in pencil and colored pencil, all executed using the same symbols; pages evenly toned, some pages missing, the notebook 7 x 4 3/4 in.